Image: Tendo/Shutterstock, Olya Detry/Shutterstock, Keerati/Shutterstock. Design: Ashley Britton/SheKnows. It’s almost St. Patrick’s Day, and you know what that means: Your home is about to get the emerald-hued makeover you’ve always dreamed of. And what’s the easiest — and most fun — way to revamp your home decor for the Emerald Isle holiday? 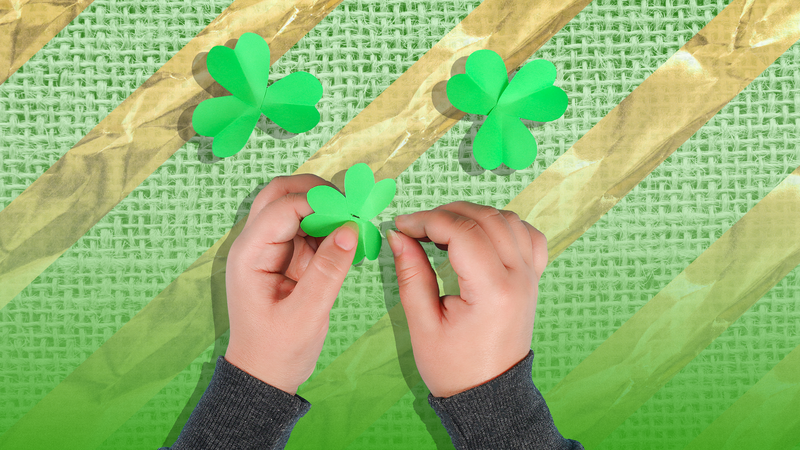 By gathering the fam for some simple St. Patrick’s Day crafts for the kids to put together themselves. Because instead of hitting up the dollar store, why not DIY? Plus, green goes so well with the 2019 Pantone color of the year, in our opinion. These St. Patrick’s Day crafts are kid-friendly (i.e., super-easy to make) — and they’re hella cute. So cute, in fact, you might even want to leave them up year-round. 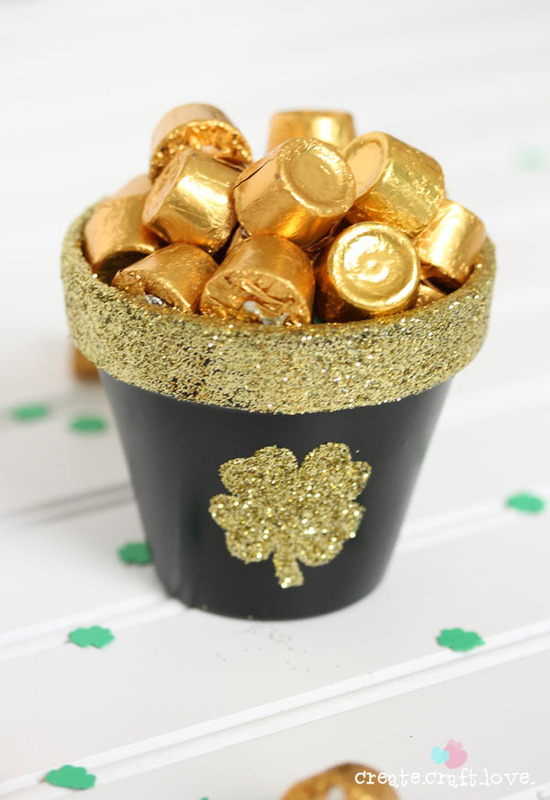 From a shamrock table runner to a very lucky penny sign to your very own pot of gold filled with Rolos (yep), it’s time to get crafty. 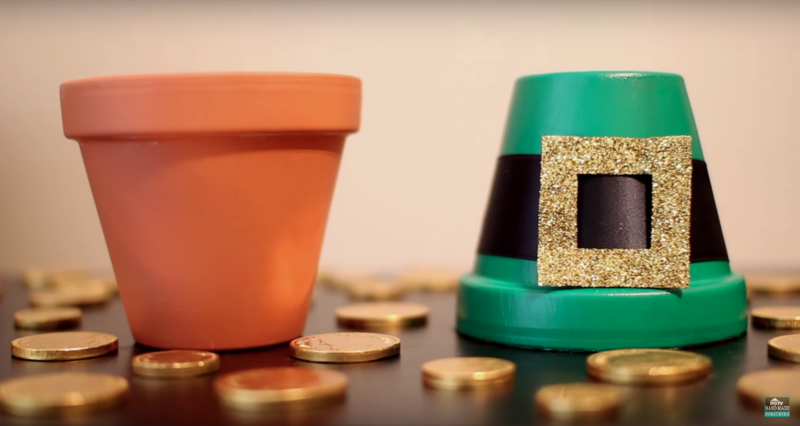 Here are some of our favorite DIYs for St. Paddy’s Day this year. When you need a good craft, who better to turn to than Martha Stewart? 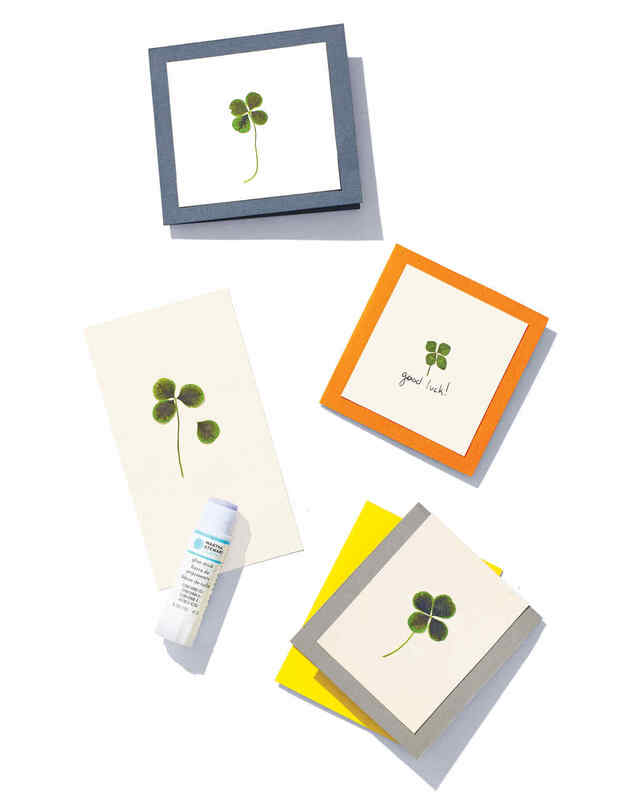 These pretty pressed four-leaf clover cards are so simple and super-elegant. Looking for even more springy pressed-flower crafts? We’ve got you covered. 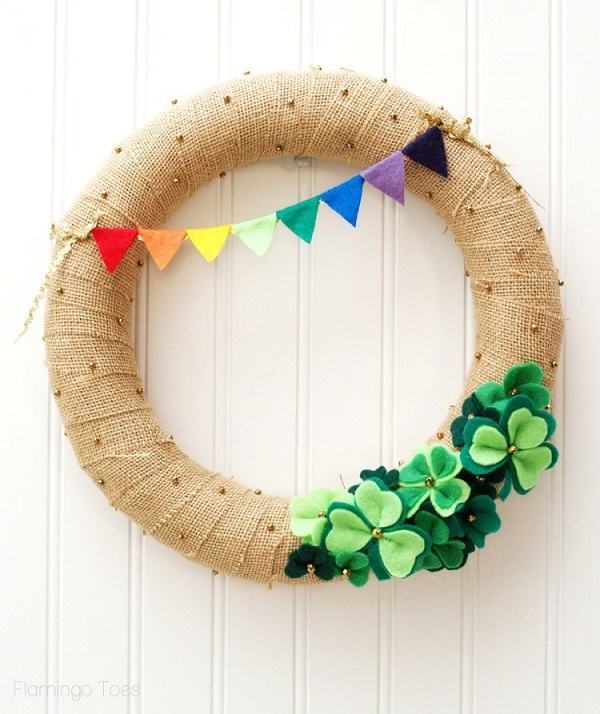 With shamrocks, bunting and festive sparkles, this wreath has it all. Image: The Darice Craft Blog. 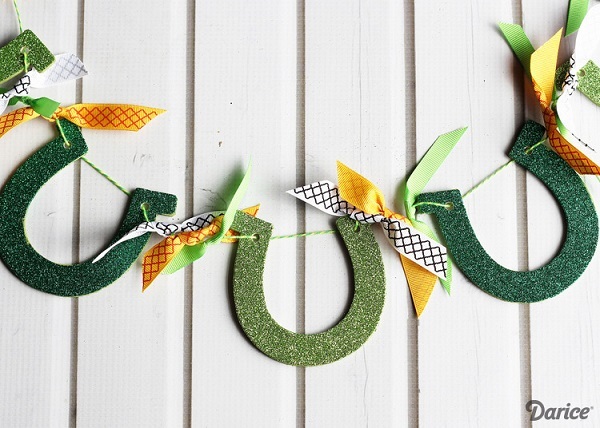 Craft up some good fortune with a horseshoe banner made with paper, ribbons and a dash of luck. Image: Mason Jar Crafts Love. 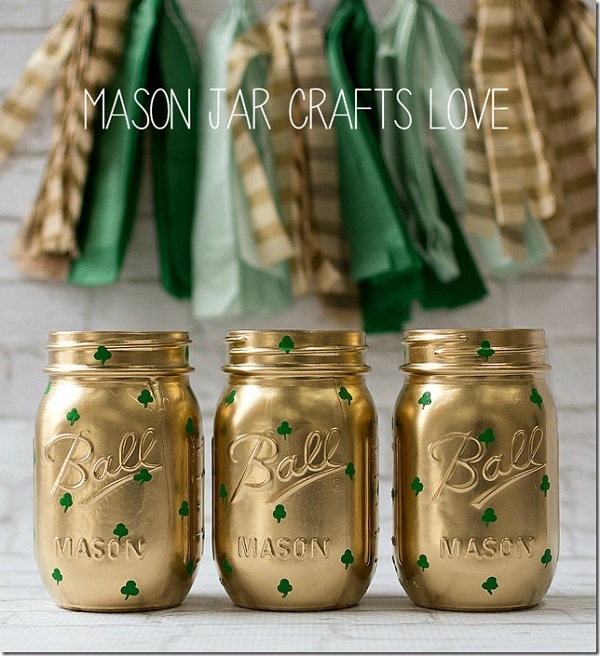 These green-and-gold Mason jars are so adorable, you'll wish it was St. Patrick's Day every day. 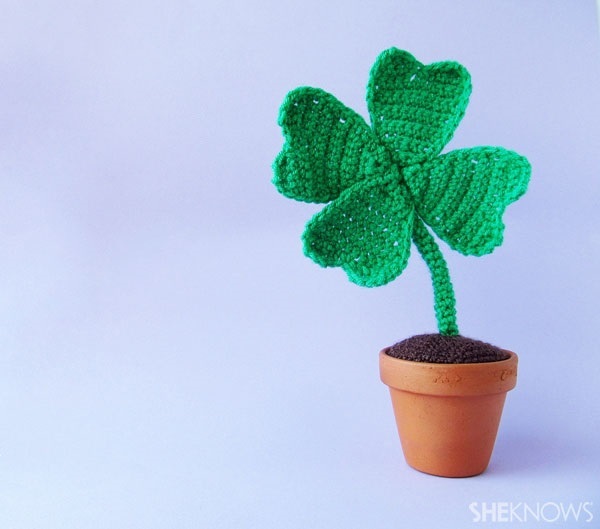 Don't bother searching for a four-leaf clover when you can crochet your very own. 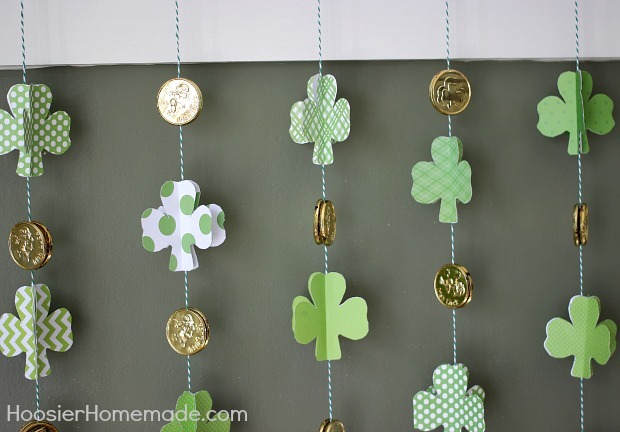 Fun prints, gold coins — this shamrock garland has it all. Don't fret about finding the end of the rainbow. You can make your own pot of gold this holiday. 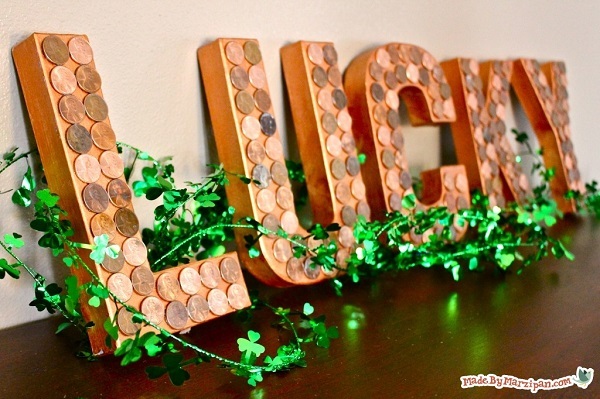 If one penny is lucky, just imagine all the luck you'll have if you DIY this shiny sign. 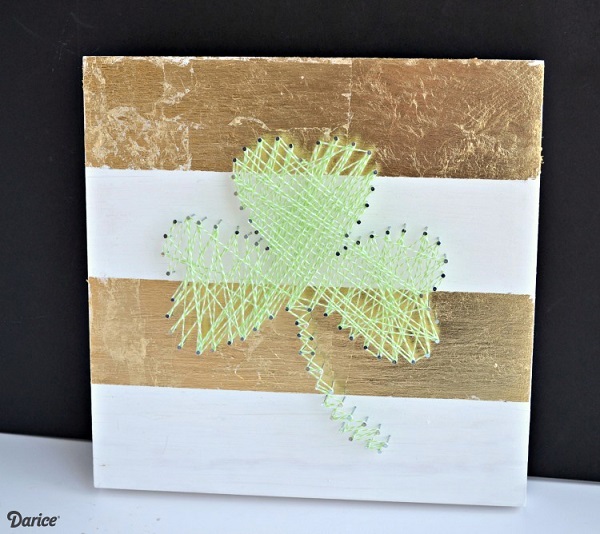 Glam up your decor with shamrock string art and a fancy gold background. 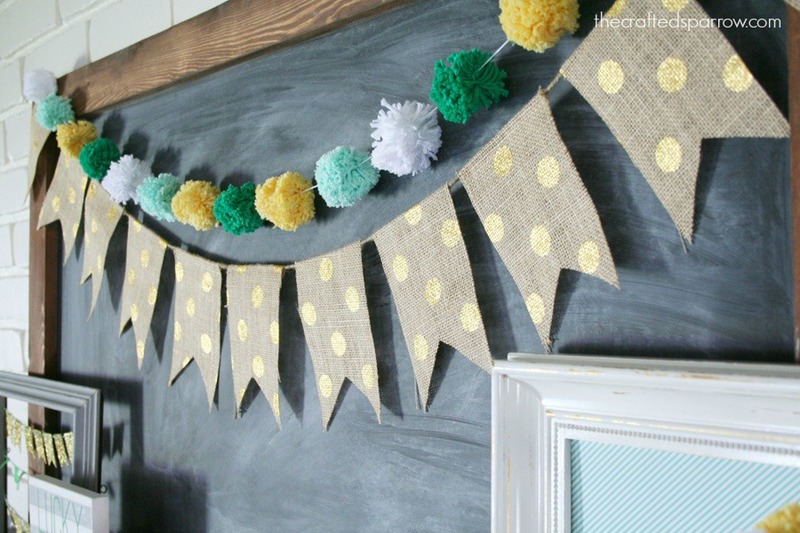 Is your St. Paddy's Day mantel even complete without pom-poms and burlap? Little leprechauns will surely love seeing these handmade hats around the house on St. Patrick's Day. 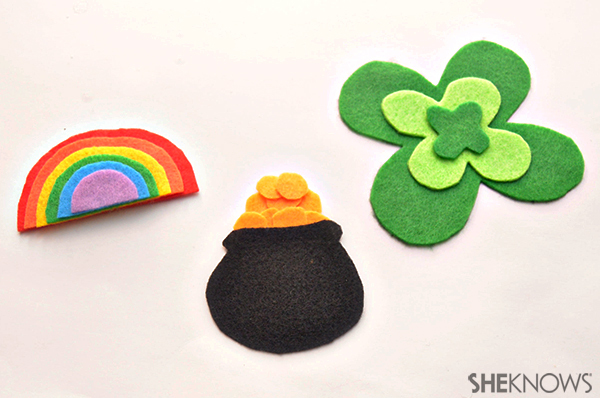 Super-simple is the name of the game with these St. Patrick's Day magnets.